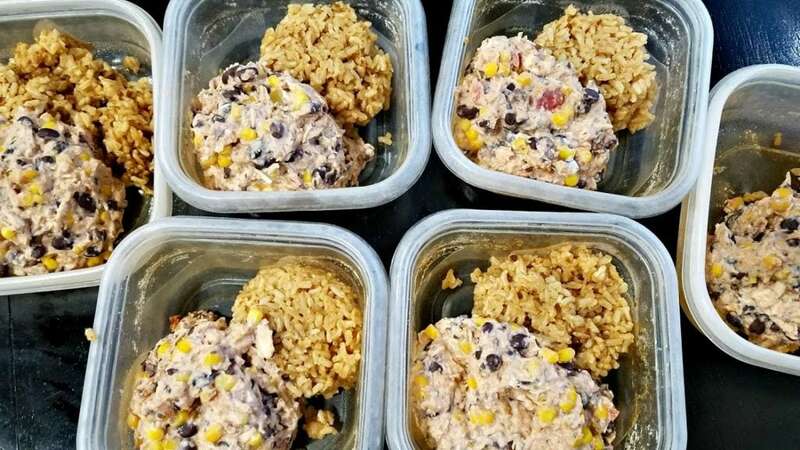 These Santa Fe Chicken Frozen Lunches were a favorite of ours years ago. 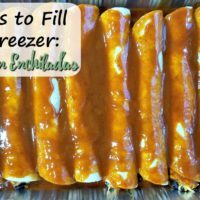 Before having Allison, both John and I worked outside the home and sometimes needed a quick lunch, so I’d have these in the freezer at times for a quick meal. 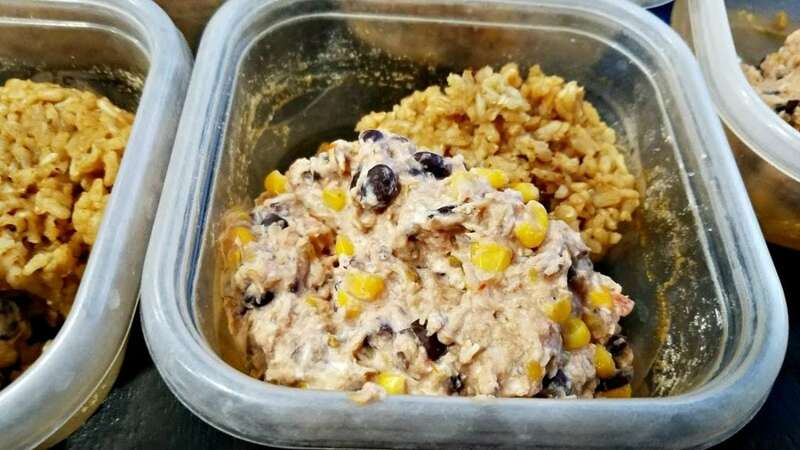 It wasn’t until just this week though, that I realized the recipe for this is pretty much exactly the same as my Cream Cheese Chicken Chili. Just without the liquid to make it a chili. That doesn’t stop us from loving it, though! It’s absolutely amazing and not too hard to make. The first thing to do is cook the chicken. I used my slow cooker and cooked both this chicken and the chicken for the Chimichangas to save time and energy. 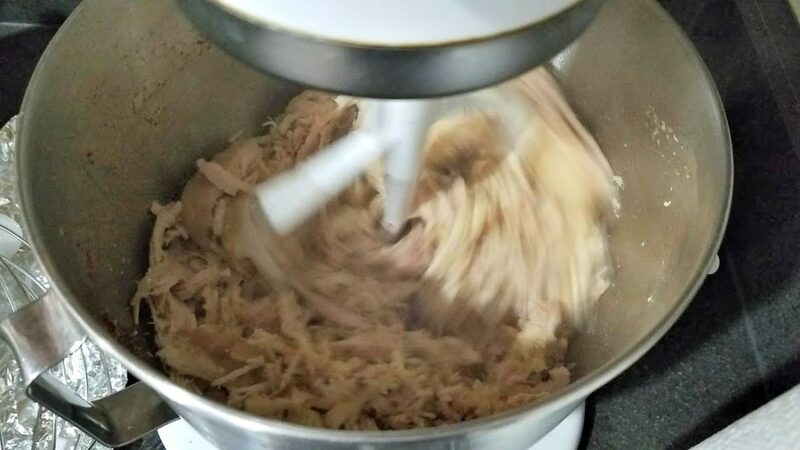 Once they were done, I shredded them all in my KitchenAid mixer and put half of the chicken into a container for the fridge. Another way I saved time was cooking the rice for this and that night’s dinner at the same time. Sometimes I amaze myself at how efficient I can be. I threw all the ingredients into a large pot and heated it up for about 10-15 minutes until the cream cheese melted and the mixture became creamy. Then I set up 6 containers and put about a half cup of rice and a cup of the chicken mixture. As you can see, this makes a ton! The thing to note about these is that they may not last a very long time in the freezer. 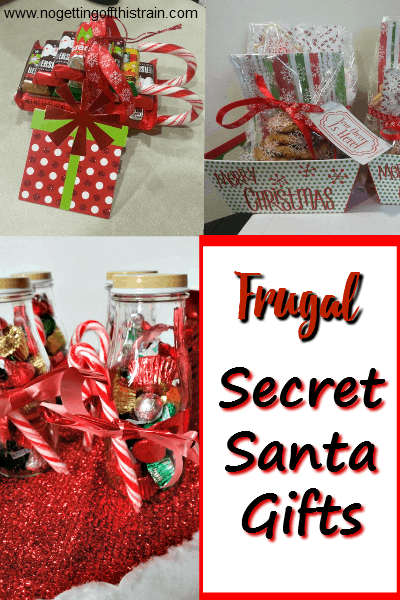 These are just regular storage containers and won’t keep the frost out all that well, so make sure you eat them within about a month of making them just in case! 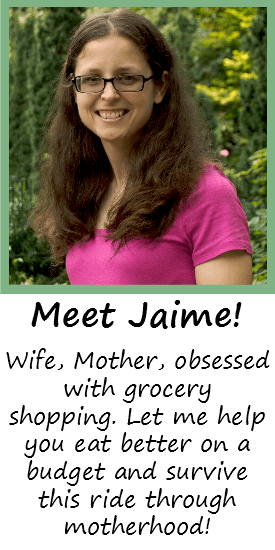 Don't pay extra for frozen dinners when you can make your own! 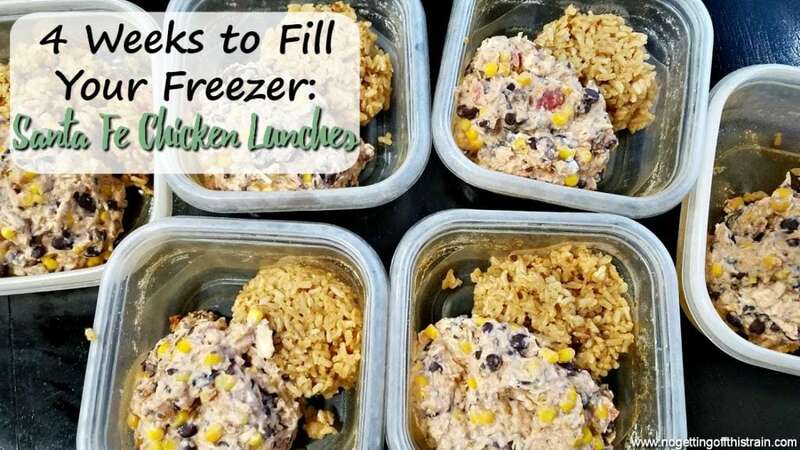 These Santa Fe Chicken Frozen Lunches are healthy and easy to put together! Cook the rice according to your preference. 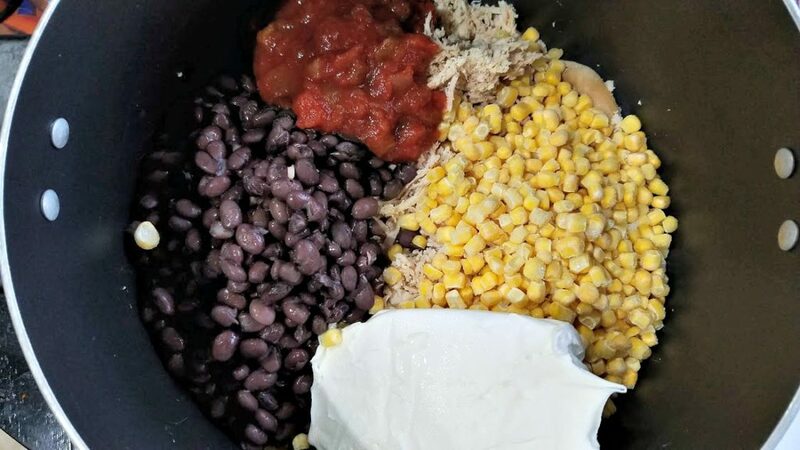 In a large pot, add the chicken, beans, corn, cream cheese, salsa, and taco seasoning and cook over low heat until the cream cheese has melted and the mixture becomes creamy and fully mixed. Set out 6 containers. In each one, add a half cup of rice and a cup of the chicken mixture until everything is evenly distributed. 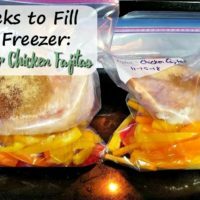 Once the meals have cooled completely, add lids and place directly in the freezer. To reheat, microwave from frozen for 2-3 minutes. Stir, then microwave in 1 minute increments if needed. These meals may not be good more than a few months in the freezer, so make sure to eat them at least within a month of cooking.